Excerpt: How important have walls been in the history of civilization? Few civilized peoples have ever lived outside them. As early as the tenth millennium BC, the builders of Jericho encircled their city, the world’s first, with a rampart. Over time, urbanism and agriculture spread from Jericho and the Levant into new territories: Anatolia, Egypt, Mesopotamia, the Balkans, and beyond. Walls inevitably followed. Excerpt: The text known as In Tenga Bithnua (The Ever-New Tongue) undertakes to give an account of the entire universe: all that is contained in time and space, and God in his relationship thereto. It is the most ambitious such work to have survived in the literatures of Old and Middle Irish, and the grandeur of its theme is matched by the visionary extravagance of its style. Excerpt: Early medieval society and culture underwent many other shifts as well, marking it as a period of rapid transition. This dynamic context conditioned many aspects of female life. The fall of Han brought rupture and uncertainty, and women sought ways to thrive amid changing circumstances. 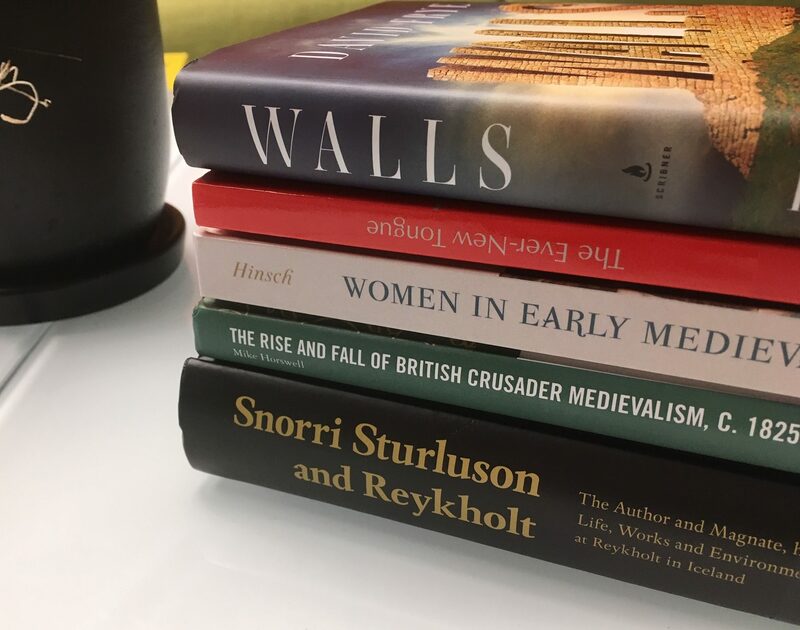 To appreciate how early medieval women lived, what they wanted, and how they understood themselves, the historian must determine how they fit into the intricate social mosaic of the complicated age of division. Excerpt: Beginning with the rise of crusader medievalism on the wings of the nineteenth-century medieval revival, the following chapters will trace the use and reuse of the crusades to the end of the Second World War. The book is split into two parts: the first will consider the foundations of British crusader medievalism in the Victorian and Edwardian eras in order to contextualise its employment. Excerpt: Reykholt in Borgarfjordr is probably best known for its thirteenth-century occupant, the author and chieftain Snorri Sturluson (d.1241). He and the place in which he chose to live together form the focus of this book. It was an important site as the seat of chieftains, godar, who were also priests, before his arrival there in the early thirteenth-century.